18th Century Swedish Rococo Wall Cabinet. Dry scraped to original blue painting. Shelfs behind doors, two drawers. Original brass handles. 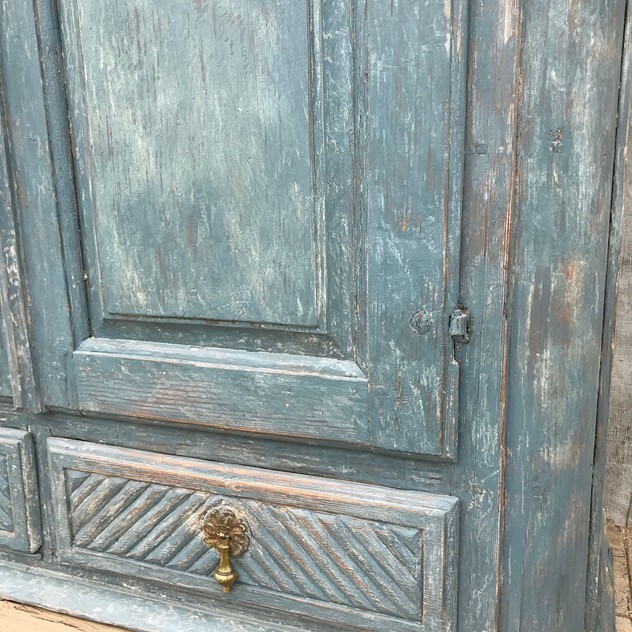 A fantastic cabinet with lovely Rococo blue painting.